Angel Sehon won the grand prize for two-dimensional art in the annual Cypress Branches Awards Ceremony at Lamar State College-Orange April 17 in the Ron E. Lewis Library. Other winners in the two-dimensional art category were Kaylin Mitchem, second; Krista Wheeler, third; and Terra Hoffpauir, honorable mention. In the poetry division, Sehon was first; Jamel Roberts, second; Ariana McCaughey, third; and Tiffany Vu; honorable mention. Three-dimensional art winners were Ashley DuBose, first; Brooke Tant, second; Janna West, third; and Hoffpauir, honorable mention. Carey Marcontell won first place in prose, Hannah Barnett, second; Marie Kenny, third, and Adrin Martin (a dual-credit student from Vidor) honorable mention. Ann Marie LaBarge was first place winner in photography. Kara Tibbets won second place, Courtney Gilbert, third; and Adrienne Fontenot, honorable mention. 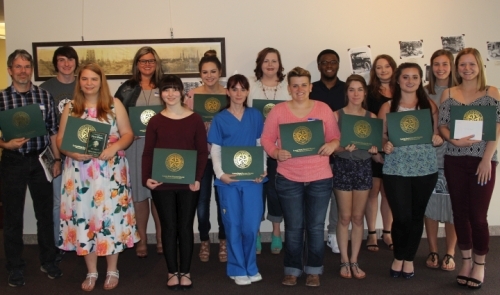 Fifty-five students entered this year’s contest. Also honored at the ceremony were winners of LSC-O’s first high-school art contest, “Branching Out’. 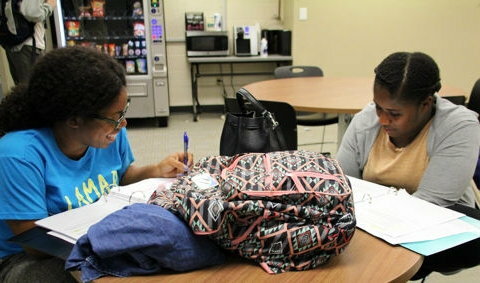 Valerie LeBlue of Community Christian High School was first place and Alexis Holt of West Orange-Stark High School, second. Dr. Michael Shahon. 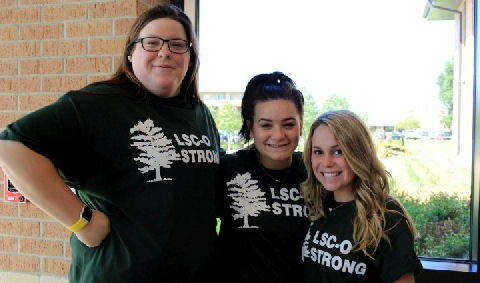 LSC-O president conducted the ceremony organized by Mary McCoy and Stephanie Jones. Vidor High School Band members Adrin Martin, Vincent Post and be Dylano Bemelen performed during a prelude to the awards presentation, and Dr. Sarah Boehme gave Stark Museum of Art tickets to winners in the art categories. Winners received cash prizes and certificates, and winning entries were published in a journal. 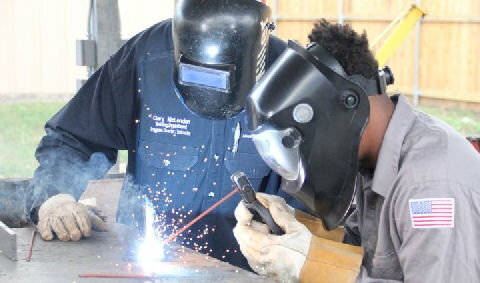 The annual contest is open to all students enrolled at LSC-O. Besides the student winners, the works of faculty members Dr.Matt McClure, Carol Gaspard, and Henry Ramsey appeared in the journal. Also published were the poetry of community members Jeanette Boehme, and Arthur “Marti” Martinson; as well as the art of Cookie Phillips, Shirley Marshall, Doris Byrd, Dorothy Meadows, Rosie Hurst, Anna Myers, Janice Clark, and Nancy Landry. Cypress Branches judges were Dr. Sarah Boehme, Dr. Matt McClure, Dr. Michael Rather, and Kathryn Williams. Branching Out judges were Zachary Dubuisson, Delle Bates, Sherry Windham and Cindy Claybar. Persons interested in having their art, photography, prose or poetry entered or published in the next journal may send it to contest coordinator Dr. Arlene Turkel at Arlene.turkel@lsco.edu.